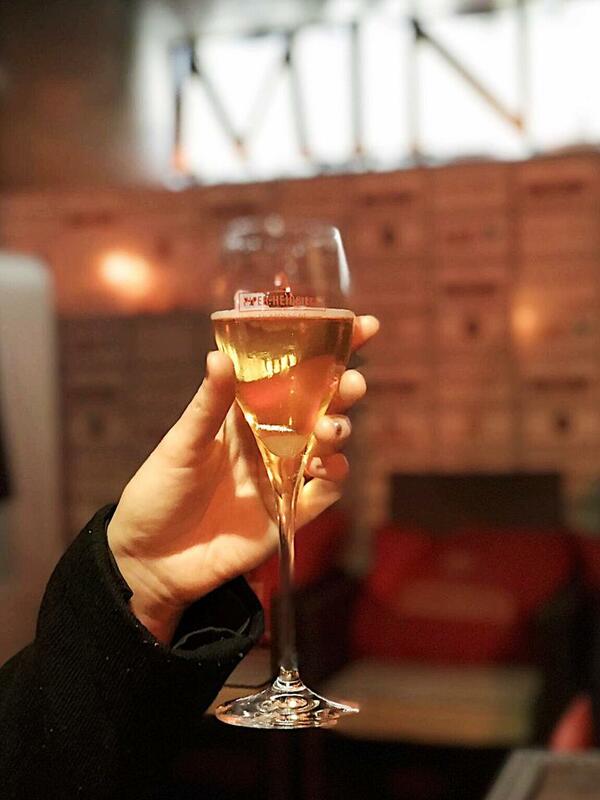 The Mint Room, the award-winning Indian restaurant on Lower Bristol Road, recently invited us to a Piper-Heidseick champagne tasting dinner for a special five-course tasting menu with champagne pairings - dreamy right? 🥂 These were accompanied by a champagne cocktail made with brown sugar and cognac. 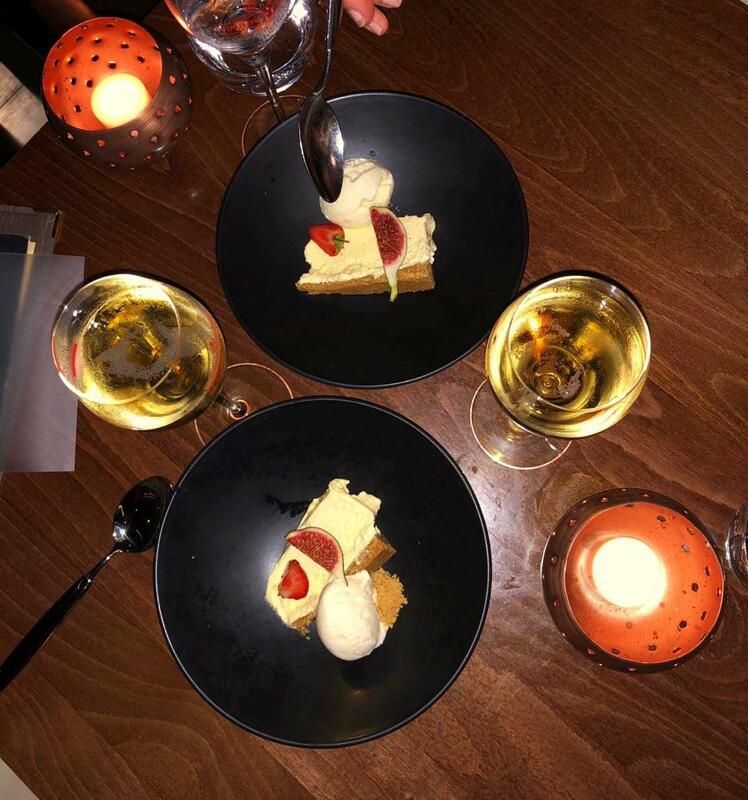 It was interesting for someone with a sweet tooth, but personally we think that the champagne is good enough as it is and it doesn't need extra sweetness added to it. A lot of other diners loved the combination though, so it's down to personal preference. 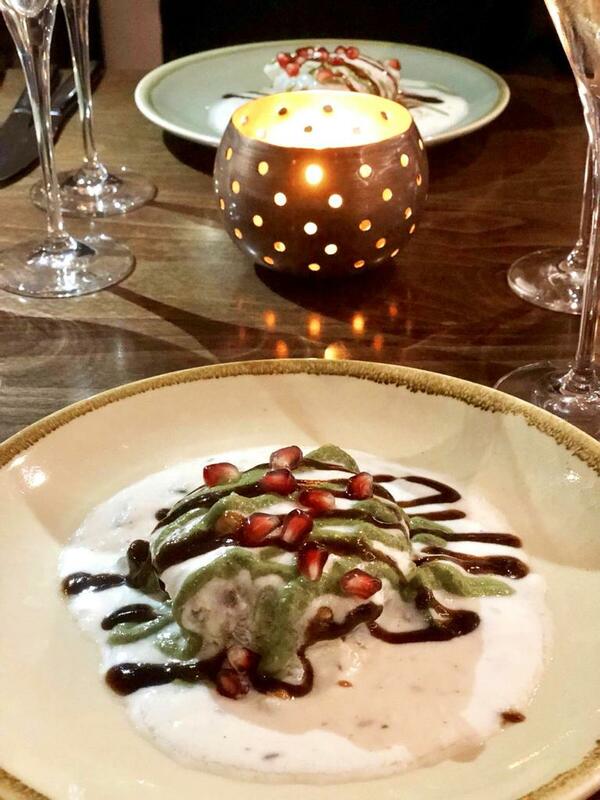 🍴We then moved onto the starter: aloo chat (pictured below). It's basically a potato cake mixed with chickpeas and a lot of spices covered in yoghurt, tamarind and green chutney. This was both sweet and spicy with lots of texture due to the mix of potato, chickpeas and the sauces. It was good, but the dishes that followed were much better. 🥂 The sweet taste of the dish was well balanced by the dryness of the Pinot Noir grape variety which was powerful and berrylike. It was a very nice touch to the dish. 🍴 Moving onto our third course: tawa machili (not pictured). This was fillet of mackerel with chilli and cumin served with a grilled aubergine. The dish was soft and dense, and melted perfectly in your mouth. It was well seasoned and had the perfect mix of a soft inside texture to contrast the grilled outside. 🥂 The champagne paired with it was vintage rare brut. Vintage means that all the grapes come from the same vine in the same year, meaning that it's more stable when it ages. It was more bitter on the tongue than the previous one and deeper in taste. It was paired very well with the oily mackerel. 🍴 The fourth course was our favourite: Bhutan (pictured below). Duck breast with pepper sauce, vegetables, rice and naan bread. The duck was perfectly tender and the most savoury dish. The sauce was light and spicy and paired perfectly with the naan which was amazing. It was such a nice meal, especially at this time of year now that it has started to get colder, and it was honestly perfect. Simple taste, simple sauce, simple rice which was the perfect combination and you weren't overwhelmed due to too many spices. 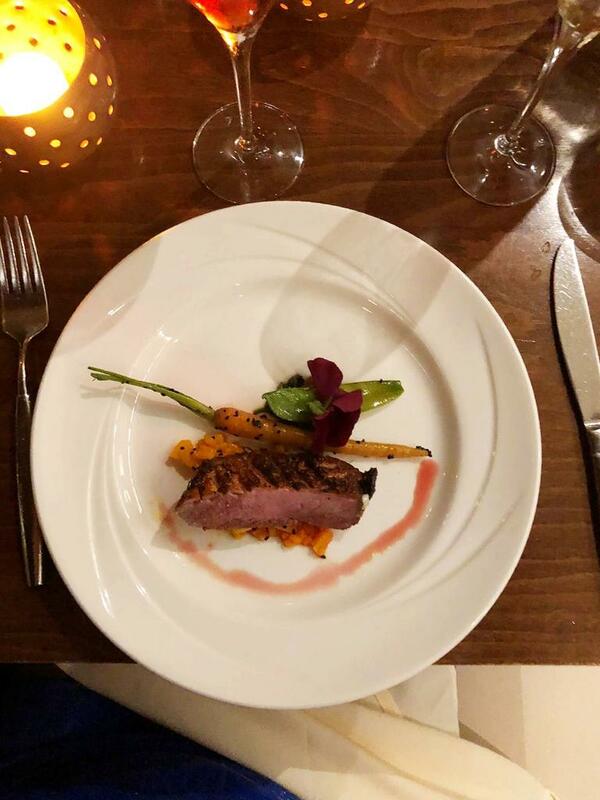 🥂 The champagne paired with it was brut rosé, sweet due to the rosé element, but it perfectly balanced the dish when paired with the saltiness duck. It was a very interesting pairing as it was the complete opposite to the appetiser where the dish was sweet and the champagne dry. 🍴 Our final course was the mango cheesecake with vanilla ice cream (pictured below). This was a top-notch cheesecake, super thick and creamy. The salted butter crust was amazing too, and so very indulgent. However, we didn't feel that the mango flavour was strong enough here. We felt that instead of having vanilla ice cream on the side, it would have been better to somehow incorporate a stronger mango flavour into the dish. 🥂 The champagne paired was demi-sec - sweeter and interesingly creamy. All of the champagnes were brut except for the demi-sec, paired with the cheesecake. It was interesting as there was a clear crescendo in the flavour of the champagne from driest to sweetest. All of the dishes were great, our favourites being the two mains, the duck and the mackerel. The champagne was fabulous and well-paired. The service was very polite in a way that reminds us of a more formal restaurant. It was flawless. The Mint Room is sucha lovely and elegant place. We would thoroughly recommend paying them a visit whether it's for another one of their events or during their normal restaurant hours. Thank you for inviting us The Mint Room. We thoroughly enjoyed your event. Disclaimer: Bath Eats was invited to a complimentary meal at The Mint Room in return for an honest review to be posted on our social media channels. All thoughts and opinions expressed herein are my own and not influenced by the company, and/or its affiliates in any way.